After a year to forget in the U.S., Elon Musk just had a few days to remember in China. The Tesla Inc. boss swept through the country this week, kicking off construction at a factory near Shanghai, hanging with the premier and chowing down on hotpot in Beijing. The billionaire was fed, feted and shown a lot of love. It’s almost everything he’s been missing in the U.S. After his infamous Aug. 7 tweet that he’d lined up funds for a Tesla buyout, Musk was fined $20 million, told to rein in his own social media and ordered to step down as chairman of the carmaker he founded. In the frenzied fallout, Musk gave a tearful account of the strain of leadership and his frequent use of sleeping pills. 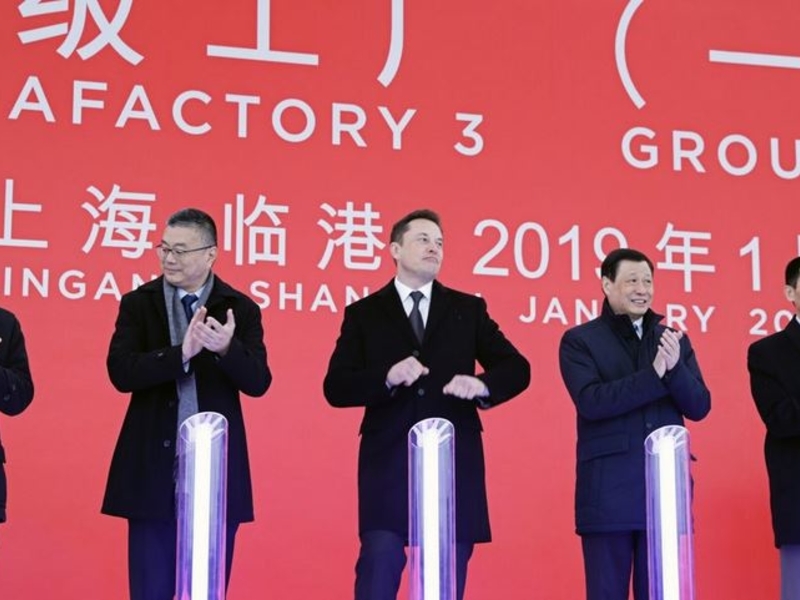 First up, Musk boogied on Jan. 7 as he celebrated the first spadeful of soil, figuratively at least, at Tesla’s proposed $5 billion plant on the outskirts of Shanghai. The beaming electric car entrepreneur was joined by local government leaders. Through the rain, Shanghai’s vice mayor said Musk and Tesla could make a fortune out of the muddy wasteland. Two days later, Musk was chatting with Premier Li Keqiang in Zhongnanhai, the leadership compound next to the Forbidden City in central Beijing, where China hosts its most high-profile foreign visitors. The pair got on so well Li offered to make Musk a permanent resident. “I love China very much and I am willing to come here more,” Musk told him. Then a ‘China Green Card’ might be on its way, Li replied. Li even said he hoped Musk could help stabilize U.S.-China trade relations.